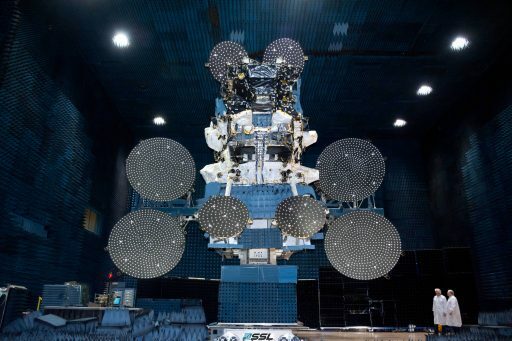 Sky Muster II, formally known as NBN Co. 1B, is the second in a two-satellite constellation dedicated to delivering high-speed broadband services to rural and remote areas of Australia where terrestrial services are insufficient or non-existent. NBN (National Broadband Network) was initiated in response to a government policy calling for the implementation of broadband access to every household and business in the country by establishing an integrated national network combining fiber, wireless and satellite technology. Fully operational, the system will help bridge the digital divide in Australia by providing services to 400,000 homes and businesses. Both NBN-Co 1 satellites carry high-capacity Ka-Band payloads that generate a large number of communications spot beams as part of an advanced design tailored to the vast distribution in the Australian population. The project is coupled to the establishment of a ground control infrastructure for the planning, optimization and operation of satellite missions as well as end-to-end integration support. Services will be available in remote areas in the outback, Australia’s coastal islands and external areas as far as Antarctica. The Sky Muster Project represents an investment of A$2 billion with Space Systems/Loral chosen as prime contractor for the Space Segment in 2012. The name was chosen by the winner of a nationwide school contest because the satellites would bring Australians together like a cattle muster from the sky. 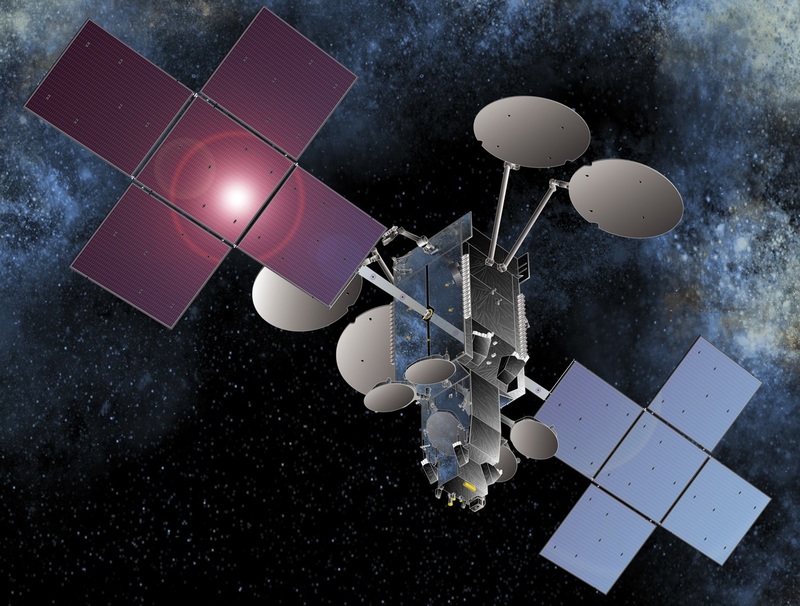 NBN Co 1A launched on October 1, 2015 and reached its operational position in Geostationary Orbit at 140° East from where it began delivering services in mid 2016. 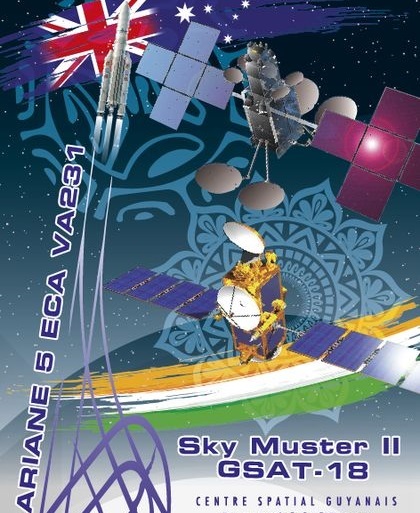 Both satellites are being launched atop the European Ariane 5 rocket. 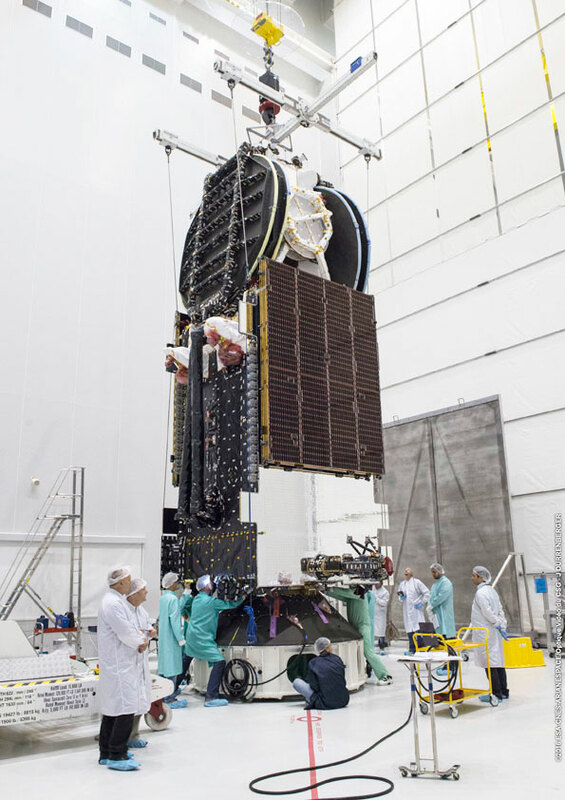 The two SkyMuster satellites are almost carbon copies, outfitted with identical high-throughput Ka-Band communications payloads with 202 standard-equivalent transponders and a large number of antennas to be able to generate 100 communications spot beams across a large area. Each satellite supports a data throughput of 80 gigabits per second. 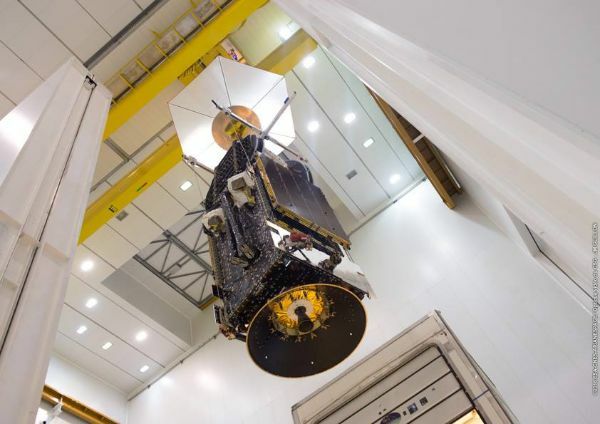 Sky Muster II has a launch mass of 6,405 Kilograms and measures 8.5 by 3 by 3.5-meters in size when in its stowed configuration, placing it among the largest communications satellites ever launched. 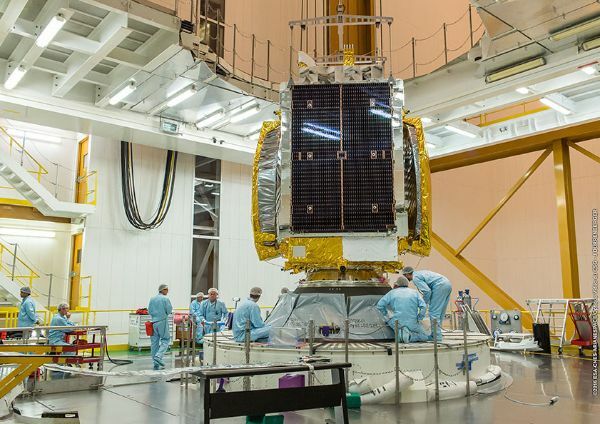 The two Sky Muster satellites are based on the SS/L’s LS-1300 satellite bus. LS-1300 is a flexible satellite platform that can be flown in different configurations to accommodate different communication payloads with a total power of 5 to 20kW. Using different configurations, LS-1300 satellites can weigh from 2,200 up to 6,700 Kilograms featuring payloads of 12 to 150 transponders. LS-1300 was introduced in the late 1980s, but undergoes constant modifications going through a number of revisions over the years. As a high-power configuration of LS-1300, NBN co 1B uses two solar arrays, each with five panels that deliver 16.4kW of End-of-Life power to a dedicated system that conditions the satellite’s power bus and controls the state of charge of the vehicle’s batteries. Three-axis stabilization and navigation is accomplished by state of the art navigation sensors and reaction wheels. The satellite is equipped with a chemical propulsion system for orbit-raising and stationkeeping using a main apogee engine and a series of attitude control thrusters. LS-1300 also provides the option of an additional electric propulsion system, whether this option is exercised for Sky Muster is not known. Sky Muster will operate in an orbital position between 130 to 150° East in Geostationary Orbit with a life expectancy of 15 years.